We offer the wide range of Kjeldahl Distillation Apparatus. 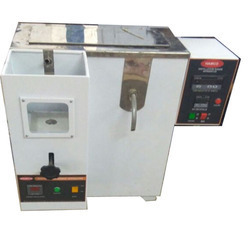 - Used for distillation purpose with 300 and 500 ml flasks. Collecting Tank: Material Stainless Steel, Capacity 10 Ltrs. a. Gate Valve: to conserve cooling water in case of power failure. 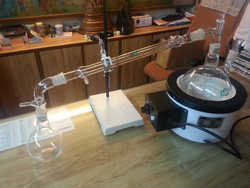 We are offering Single Stage Quartz Distillation Apparatus to our clients.